If you’re not familiar with the Keto diet plan, you may think that foods having a high fat content can’t be healthy. If you are familiar with the a plan, you know that high fat foods can be healthy, delicious and make great snacks. And, by eating snacks that are full of healthy fats, you actually stay satisfied longer and don’t have the urge to keep eating or to binge eat. Before we get into the healthy fat snacks, let’s go ahead and debunk a myth that’s been going around for decades. Fat does not make you fat. Think about it, there are tons upon tons of fat free products on the market. If low or zero fats were the answer, more people would be thin and less people would be obese. Unfortunately, the problem with obesity is at an all time high, even after twenty years of low fat foods being readily available. On the other end of this myth is all the processed, high carb foods that fill our grocery stores and our kitchen cabinets. Not only are they readily available, but they are generally inexpensive which allows you to purchase a lot more of these items. The thing with these high carb snacks is, they never satisfy you. You can eat a bag of chips and within an hour you’re starving again and grab another bag of chips or other high carb snack. This leads to overeating and consuming too many calories. That’s what causes people to become fat. Too many calories that aren’t been used up as food and getting stored as fat on the body. With the Keto plan, you aren’t as worried about calorie consumption, but you still need to make sure you aren’t consuming all the calories you want. By keeping your carb intake low, this helps reduce calories. By eating healthy fats, you feel full longer and this also leads to a natural calorie balance over time. So let’s get to those snacks already. Pork skins – Pork skins come in several flavors and make a great zero carb snack. If you smear a little cream cheese on them, that not only adds flavor but also some more healthy fat to your diet. Another great thing about pork skins is they can be crushed and used for a breading on chicken strips or chicken fried steak. The texture is a little different than what you’ve grown used to over the years, but it is good. Once you get used to it, you won’t want to go back to high carb breadings. 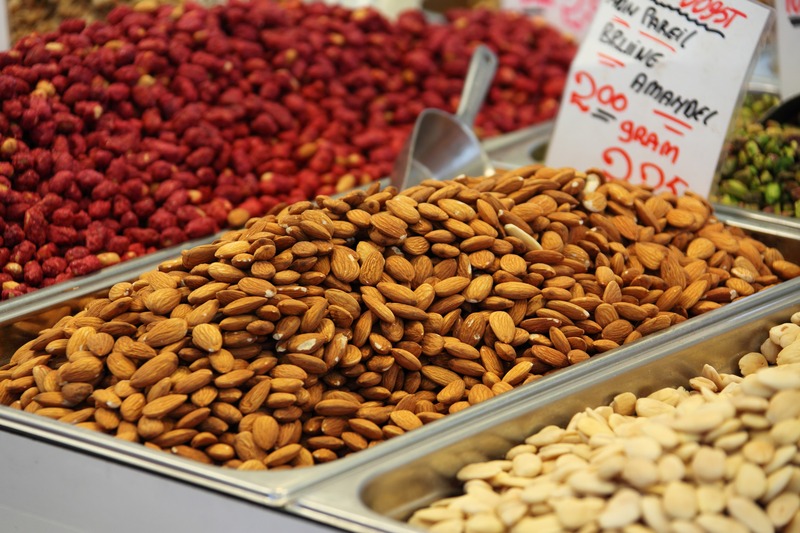 Nuts – Nuts are a great high fat snack. They are a bit high in calories too, so you’ll want to stick to a serving size, but being high fat and good for you, they will be more satisfying than a bag of chips. Nut butters – This is another great high fat, healthy treat. They do contain some sugar, unless you get the completely natural varieties, but they also help curb your sweet tooth and they’re better for you than high sugar, carb loaded candy bars. Avocado chocolate pudding – This is really simple to make and also helps curb those sweet cravings. Simply mash up a ripe avocado until it’s creamy, add in some cocoa powder, vanilla flavoring and a bit of stevia or other Keto approved sweetener. Mix it all together and chill. With this treat you get healthy fats and a sweet treat. String cheese – This is another great high fat, low carb snack you can enjoy. The great thing about this snack is how portable it is. It can also be enjoyed with a bag of nuts for a truly satisfying snack idea. These items are light enough to throw in your backpack for a day of hiking or other outdoor fun. These are just a few healthy fat, low carb snacks, but they are all great for on the go. Avocados can be eaten alone, so if you’re out doing fun things with your family, you can just peel and eat without making chocolate pudding out of them. Items like nuts and string cheese can be purchased in most convenient stores too, so there’s no need to go off your eating plan just because you’re traveling or away from home. This entry was posted in Uncategorized and tagged carbs, dieting, high fat, High Fat & Healthy Great Keto Snacks, Keto, Keto diet, low carb, low carb diet, snacks. Bookmark the permalink. Gods that Pork Skins as breading is genius! I am a fortunate person who never has had a weight concern. I think it may be partly due to genetics, but I can say with great certainty that I always have enjoyed healthy fat foods and avoid low fat or fat free foods. Eating more isn’t as fulfilling as eating delicious is so I would rather have two regular chocolate cookies instead of 10 low fat.